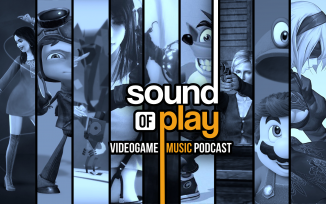 This week’s Sound of Play host is Ryan Hamann (@InsrtCoins) and he’s joined by Cane and Rinse community member David Darbyshire aka Jon Richter (@richterwrites) with community submissions from Spacefarer, srgtsilent, and brazenhead89. Theme of Laura is such a fantastic, heartbreaking track - Great pick. PS: I can hear the resemblance, Ryan! You're not going crazy! This was a great episode (and not just because my piece was picked). Very nice bit of unexpected, but not unwelcome, discussion. A further point about The Sims 2 and its storytelling: the game has a bunch of built-in features that facilitate making your own stories with your Sims. For example, each neighbourhood has a bit of soap opera-style backstory, and I believe that by using the camera feature, you can also put together individual stories for each family and Sim. Couple that with the memories feature and you've got yourself a pretty robust, if somewhat clunky, system there. Also, Crash TwinSanity is such a great game. It's such a shame it was never properly finished - though the lobby behind it being remastered with all the cut content restored probably consists of me and me only. Ah well.